Senna was supposed to be "just a pet", but decided to show his owners, Michael & Amanda Rigby, just how much fun "doggy" activities could be!! Now they spend all their spare time training for obedience or field work! 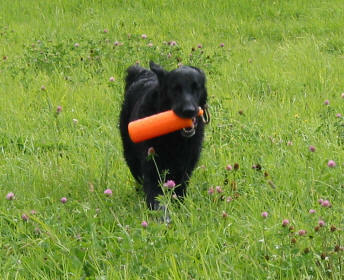 To say Senna loves retrieving is an enormous understatement. He will retrieve until he's exhausted and still ask for more. His talent is unquestionable. 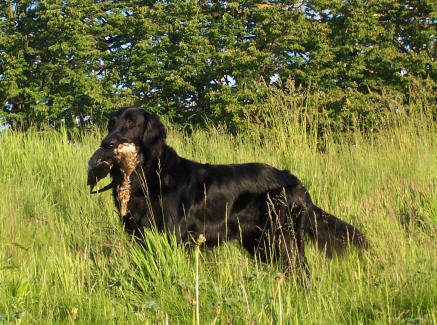 He is an exceptional marking dog and never quits looking for his birds. 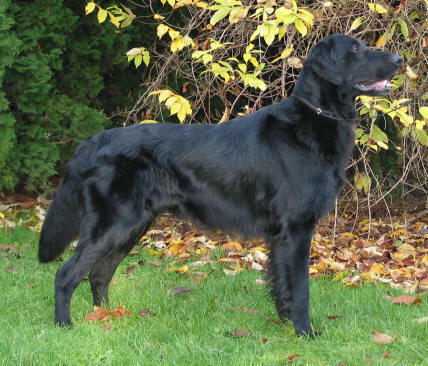 That talent and love for his work made Senna only the 4th Flatcoat....and the 1st male Flatcoat.....to earn his Grand Master Hunter title. A natural showman, Senna finished his championship easily, in 4 weekends of showing. 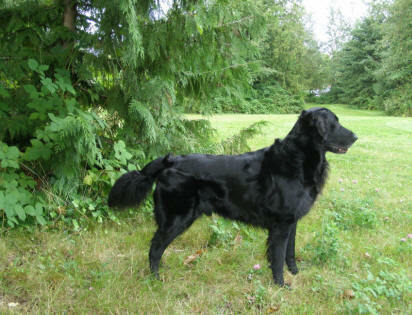 He also earned a 4pt major in the US at his first all-breed show but hasn't pursued his American Championship. 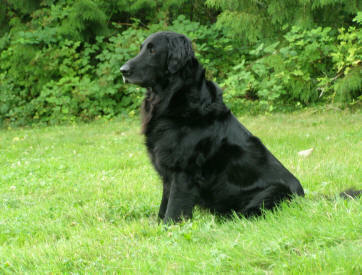 From our very accomplished "Dance" litter, Senna is the most accomplished of them all, and makes us very proud.